Smallish upload today but I’m happy the April WAFS Cool Racerback was finally uploaded. I’m tempted by the Dune Studio Pants but haven’t seen them in person yet to know if they would flatter me. I wish there had been more real life photos these past few days of them from the stores since the white background on these shots is most unhelpful. What did you guys order tonight/this morning? 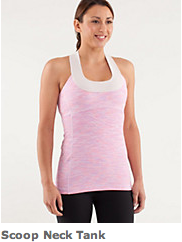 "The Latest: Rose Quartz SE Swiftly Tech LS, Concord Grape Jacquard Speed Shorts, April WAFS Scoop Neck Tank"
"New! In Stride Jacket in Wee Are From Space White April Multi"